Voices has launched All Rise for Civil Justice, which tells the story of a civil justice system in crisis, the people who are hurt by it every day, the decisions that brought it to the brink, and the people trying to make it better. All Rise supports the work of civil justice reformers by elevating stories like Sonja’s and the voices of practitioners like Andrea. The website uses video, photo essays, animations, mapping and other media to tell the stories of people living with the consequences of a civil justice system in desperate need of fixing. The website spotlights practical solutions and dial up the urgency of repairing our broken and unequal court systems. It’s a one-stop shop for resources to better tell the stories of affected people, families and communities. Generating strong and sustained media coverage that demonstrates how civil legal aid helps ensure fairness in America’s justice system. Creating messaging guidance and other communications and media tools for civil legal aid advocates. Connecting journalists with our national network of civil legal aid experts. Whatever your beat, we can connect you to experts, stories and fresh facts in the civil justice system from all over the country. Rebecca Sandefur, a sociologist and researcher at the University of Illinois at Urbana-Champaign, believes America needs a new model for handling everyday legal issues. Poor remain underrepresented and taken advantage of when it comes to court claims and judgments. By providing lawyers for people faced with eviction, the City of Philadelphia could save itself tens of millions of dollars in costs, the study said. New civil legal aid explainer! Thanks to Kresge Foundation for making it available for all to use. See clickable map clickable map. 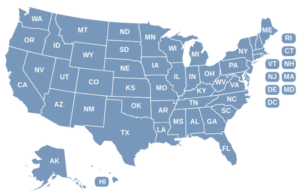 Stateside Legal is a national website that has links to more information about legal aid for veterans. See also press clips about veterans. National Disaster Legal Aid is a national website that has links to more information on legal issues related to all types of disasters. See also press clips about disaster recovery.